After a long week at work, your idea of a crazy Friday night might go something like this: You’ve got a beer in one hand and a slice of pizza in the other. Whether you’re eating in, ordering take-out or hitting your favorite pizza shack, an ice-cold ale and and a slice of your favorite pie make the perfect pair. But don’t get stuck in a routine with the same beverage weekend after weekend! Switch it up, and enhance your pizza-filled exploits. Here, find the five best beers for your delicious, cheesy, pepperoni adventures. Need a not-so-expensive option without the cheap taste? 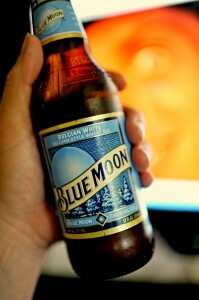 Try this belgian white beer from Blue Moon. 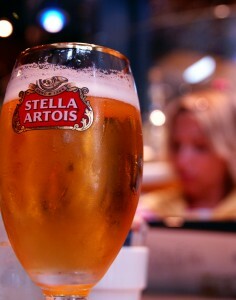 The flavors of the light beer go great with the heavy richness of pizza. As an acidic malt, this beer will give your pizza that extra punch of flavor you’ve been looking for. The complex flavors (which has been noted to lend itself to raisins) brew up a dark concoction that pleasantly complements any pizza party. As the best-selling belgian beer in the world, this ale will give you the right amount of refreshment for those doughier, crispier pizza slices. Want a sweeter option? 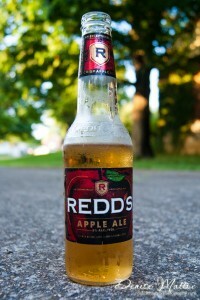 This sugary, apple-flavored beer could double as a dessert. The sour undertones of apple deliciously mesh with pizza’s tomatoey, acidic sauce. Or maybe you’re looking for something rich, dark and sweet. In that case, this beer has all three. If you’re on the hunt for a beverage that brings out the taste of your pizza’s crusty foundation, look no further. After this post, it’s hard to say no to a night of beer, pizza and all things delectable. For a taste of the best pizza in downtown Las Vegas, head out to Pop Up Pizza in the Plaza Hotel to get your cheese, bread and tomato fix. Downtown is also home to some of the best bars in Las Vegas!